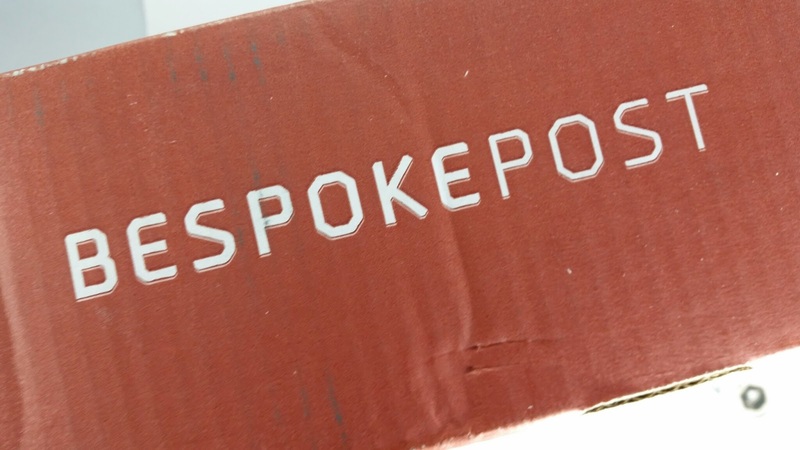 Bespoke Post is a subscription box that focuses solely on men and what they want. 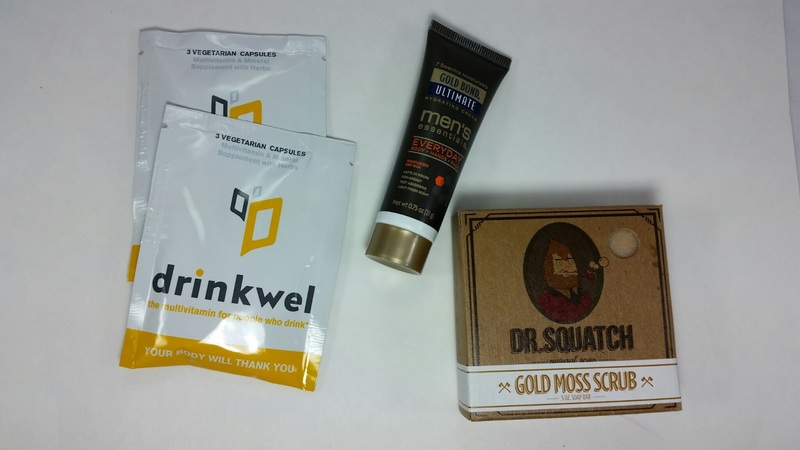 Instead of sending monthly mystery boxes, each month they offer a selection of boxes from which you can choose. New boxes are added each month but you can still purchase older ones if they are available. If you don't choose a box, they send you the one that is featured that month. What You Get: A monthly box of man awesomeness with anything from 100% wool scarves, hatchets with leather covers, whiskey aging kits, specialty foods and so on. They cover all kinds of manly preferences. 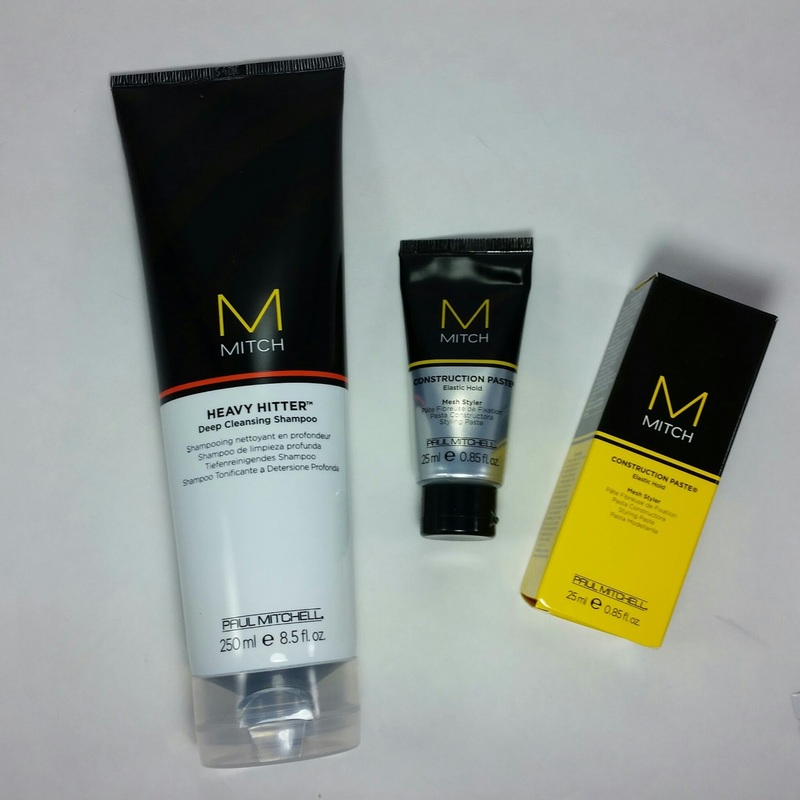 This review is for the Refresh Kit, which is perfect for men who travel a lot or care about their personal body care routines. They also have boxes that focus on Life, Food, Drink and Style. This is the Grooming sort of box. One thing I have to say about Bespoke Post is that while it's more expensive, the quality is absolutely stellar. The value in each box we've received has been far beyond the actual price of the box. It is the same with this Refresh box. These do not have cheap little items. Bespoke Post respects it's manly customer base and does not send silly things. Each box is carefully curated and it shows. 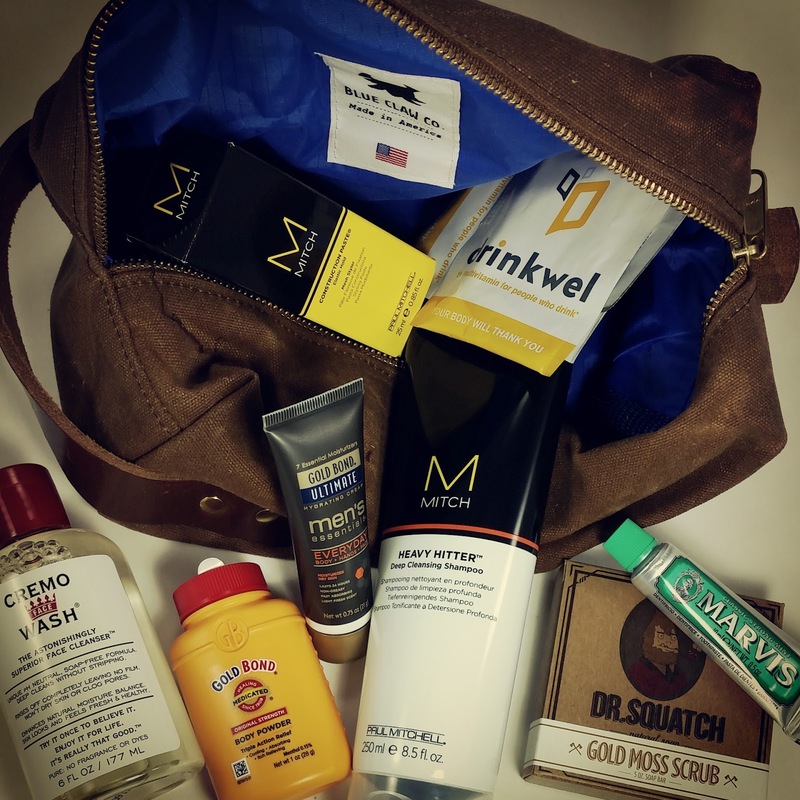 Blue Claw Co. Dopp Kit- I'm starting with the most impressive piece included in the box. 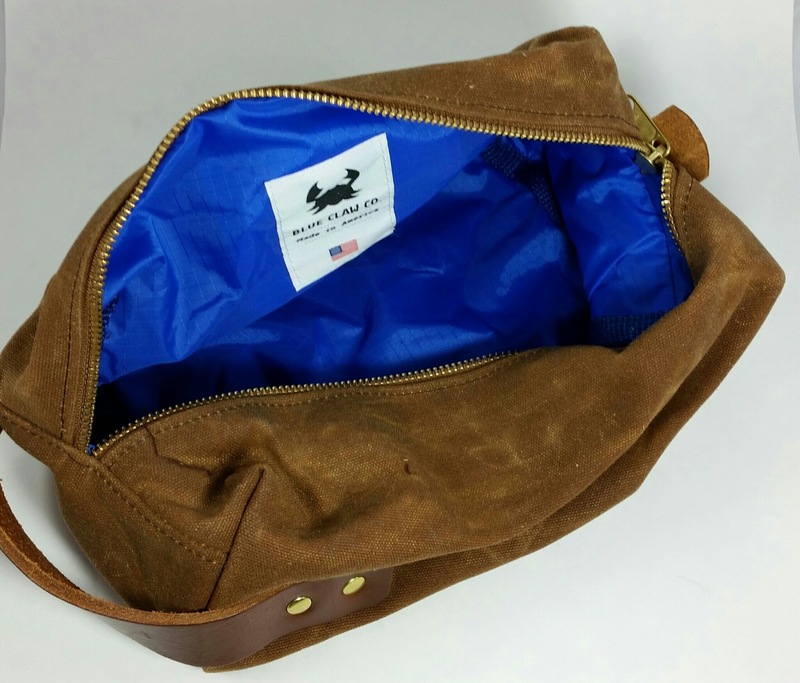 This is an American made Dopp kit made with heavy duty waxed canvas with a signature blue ballistic nylon lining. It also has a full-grain leather handle and pull tab with bronze riveting and zipper. This will last forever. Forever. That is how well made this is. I kind of want to steal it but it's so awesome I can't deprive my husband of this. I wish you could hold it and feel the textures so you could get some idea of how sturdy and handsome this is. Cremo Face Wash- This is a pH neutral, soap free face wash. It cleans without stripping or drying out your skin. Since DH has been saying he needs something that doesn't make his skin feel dried out, this will be perfect. It's a foaming face wash which I think he'll like. This is a great size at 6oz, too. Gold Bond Powder- Well, its a 1oz travel size of Gold Bond body powder. And I suppose I can leave it at that, right? Marvis Toothpaste-This is a super minty toothpaste imported from Italy. It's actually pretty popular these days. It does all the things that toothpaste should do with an apparently very strong peppermint scent to give you breath that makes everyone happy. Drinkwel Multivitamin- These are for after you had a really great night out and want to recover quickly. Pop this mulit-vitamin and feel right as rain. Gold Bond Ultimate Men's Essential Lotion- No girly scents here. Just manly alleviation of chapped and dry skin. Very hydrating and good for both face and body. In a travel size to fit in your kit. Dr. Squatch Gold Moss Scrub- This soap bar is scented with oak moss and uses ground cocoa and sea salt for exfoliation. If you want to smell like the woods and your shower feel like a forest, this soap is for you. Since my exfoliating scrub was the other product of mine DH was using, I think he's really going to like this. And he won't smell like flowers when he's done! Paul Mitchell Mitch Heavy Hitter Deep Cleansing Shampoo- This is a full size bottle at 8.5oz and it easily fits in the Dopp kit. My husband doesn't have much hair (he's not bald, he just has really short hair, especially right now when he mixed up the 5 and the 2 on his shaver- whoops). This has a cedar and agave scent and should go perfectly with the Dr. Squatch soap. Paul Mitchell Construction Paste- I think normally DH has been using American Crew but I'm sure he'll try this. He likes to fuss over the front of his hair. This will give texture and hold which is what I think he likes. Maybe he wont steal my hairspray if this works well enough. VERDICT: I am so impressed with this Bespoke Post box! The Dopp kit is so fantastic and gives the box an unreal value. At $112, this box is worth every cent of it's $45 price. And would make an absolutely wonderful gift for any man. There are many other options as well, so if the person you are shopping for wouldn't necessarily care for this one, there is something sure to make him happy. This one is perfect for my husband and I had a really hard time not showing him everything since I want to give it to him for Christmas. 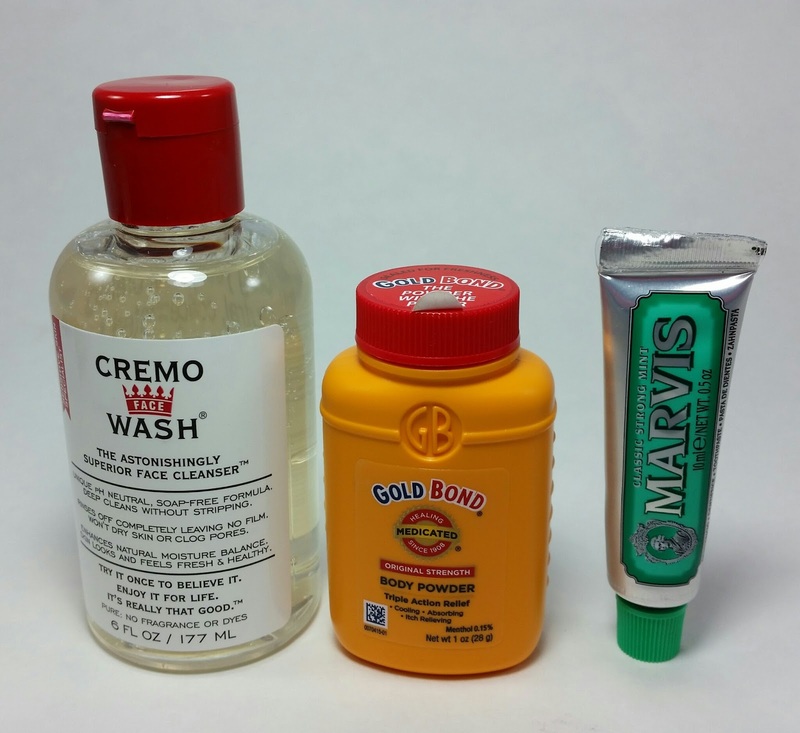 He's been wanting a real dopp kit for so long and he will love this one. I really think Bespoke Post does a great job with their box curation. And when you sign up for a subscription (you can also just get one time boxes), you can skip any time there isn't really something you want. The value has always been there and even with the ones I haven't chosen, you can see the quality. If you would like to see the boxes available at Bespoke Post or sign up for a subscription, you can do that here. I believe you will have to put in your email address to look at everything but I'm not positive about that. They also do gift subscriptions. I actually ordered this same box for my brother in law for a Christmas gift. Have you gotten a Bespoke Post box? Which one and how did you like it?! That bag is pretty awesome. I think my BF would only use half the products in the bag, but the bag itself would get used until it fell apart. Which would probably be never. The bag is definitely the star of the show in this box. It wouldn't surprise me in the slightest if it lasted forever.